Clairton Cokeworks photo used by permission via Mark Dixon/BlueLens / Flickr. 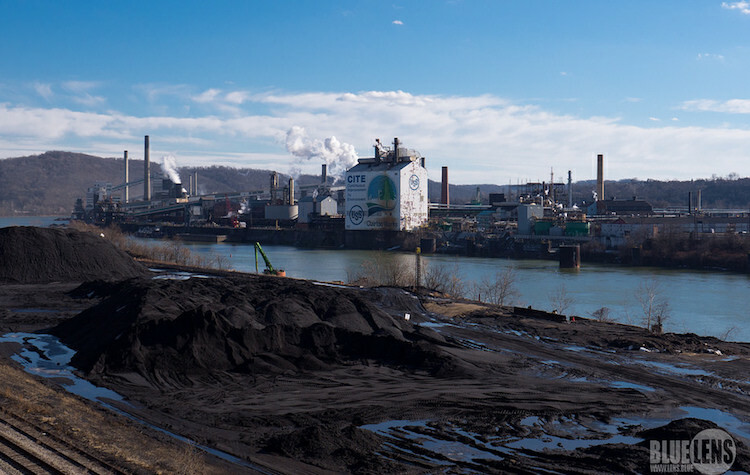 On August 27, U.S. Steel published an action plan detailing how the corporation will upgrade emission standards at its Clairton Coke Works facility south of Pittsburgh. Though an announcement from U.S. Steel describes the new policies as being the result of a “collaboration” with the Allegheny County Health Department, the action plan was in fact required by an enforcement order issued by the Health Department earlier this summer. The enforcement order also required U.S. Steel to pay a fine of $1,000,000 for their consistent failure to meet air quality standards. 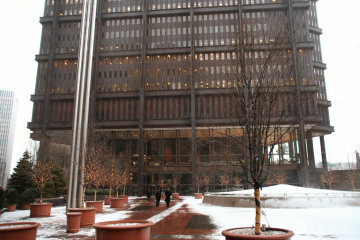 While U.S. Steel has complied with the order so far, they also filed an appeal in July, raising the possibility of a drawn-out legal battle that will further delay much-needed upgrades to the facility. A public hearing on the appeal will take place on Dec. 3 at the Clack Health Center in Lawrenceville. 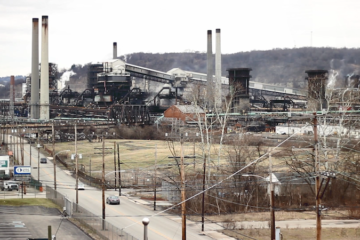 Clairton Coke Works is the largest facility of its kind in the United States. The site operates 10 different batteries which are essentially ovens that cook specific kinds of coal over many hours to produce materials used in the manufacturing of steel. Although air quality all over the Mon Valley has improved considerably since Pittsburgh’s industrial era, experts and residents around the region have been alarmed by air monitors showing increasing levels of carbon and sulfur dioxide in the atmosphere over the last several years. Experts at the Allegheny County Health Department say these increased levels are a direct result of the Clairton Coke Works, which ranks high on the list of the top 10 polluters in the region. While U.S. Steel had entered into a consent decree with the county in 2016 to upgrade the emission standards on their smokestacks at Clairton, the latest enforcement judgment refers to emissions coming from other parts of the facility, such as the ovens, windows and factory doors. “The Health Department will now thoroughly review the plan to ensure it meets the goals of emission reduction. Once the plan is approved, implementation of proposed changes at the plant must begin within 30 days,” read a statement from the Allegheny County Health Department. The Health Department did not respond to questions about who would be reviewing the action or how long the process would take. Other environmental experts who have examined the plan remain unimpressed and questioned once again why the saga of Clairton Coke Works has been allowed to drag on for so many years. So the adequacy of the plan is largely beside the point.